For being a Nobel Peace Prize recipient, Barack Obama sure did spend a lot of his time trying to incite war while occupying the office of the presidency. When he wasn’t busy throwing fuel on the fire of racial tensions domestically, he was apparently trying to incite another Cold War with Vladimir Putin and Russia because he wasn’t pleased with the election outcome. New reports suggest that Obama grabbed his pen and phone almost immediately after learning that Donald Trump had won the presidency to create as much chaos as possible for our 45th leader. One scheme of Obama’s was authorizing a covert cyber operation in which “implants” were deployed throughout Russian networks that could be triggered remotely as retaliation for supposedly meddling in the last election. 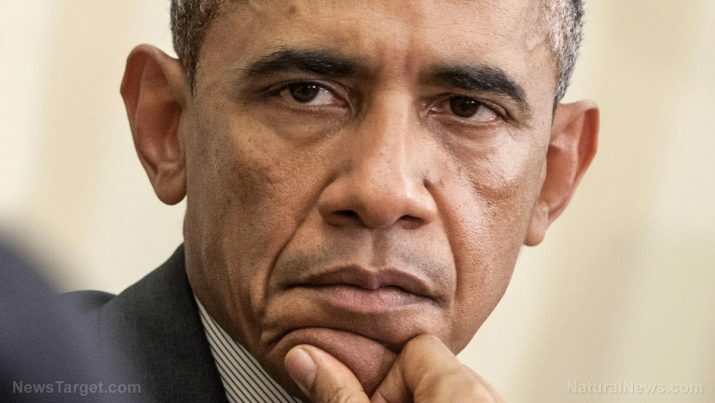 Even though there’s still not a single shred of credible evidence to show that Russia had any influence over the election, or that a single vote was changed because of anything it may or may not have done, a furious Obama was apparently hellbent on getting revenge. So he teamed up with the National Security Agency (N.S.A.) to put the entire world at risk, all to satisfy his little temper tantrum following Hillary Clinton’s loss. This is all rather ominous for the U.S., especially as tensions continue to escalate both domestically and internationally. What Obama did by setting up this trail of cyber land mines, so to speak, is a provocation that could lead to another world war, and President Trump may not necessarily have the ability to stop it. These implants, after all, are very difficult to remove as they were designed to remain in place or else “detonate” if anyone tries to defuse them. Fortunately for the world, Vladimir Putin appears to be the bigger man in all of this, recognizing that our new president is much different than the last one, and that it’s the Democrats specifically who are playing with fire. By continually declaring that Russia interfered with the election when no evidence exists to support this, the Democrats, and those who support their agenda, are digging their own graves politically. But in the process, they’re digging the graves of millions, if not billions, of people who could lose their lives if World War III is triggered by their childish political antics. Should this occur (which God forbid it does), Obama and his minions will only have themselves to blame.